Assistant editor of TheMash, a.k.a. the Tribune's weekly teen paper. Send fan/hate mail to ariel@tribune.com. Who won our 2010 PROMathon? One hundred applicants. Four finalists. One winner. YOU cast more than 11,000 votes in our annual PROMathon contest, and we finally have our winner. 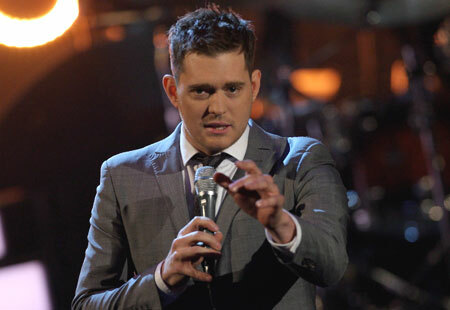 The possibly too-popular Michael Buble performs in Germany last December. Three years ago, I pledged my allegiance to Michael Buble after watching dancers twirl across the stage to his music on "Dancing With the Stars." His Frank Sinatra-type voice was too alluring to resist. However, up until recently, my friends really didn't know who he was. Spring break is almost here. So now what do you do? Never fear, TheMash's spring break survival guide is here. From Chinese food to cheap movies, we've found a variety of things to do during your week of freedom. But before you start having fun, you need some must-have items. Grab a seven-day CTA bus pass for $23 and a map, and you're all set. "Dreamgirls" actress Anika Noni Rose talks about what it was like to voice Princess Tiana in "The Princess and the Frog." 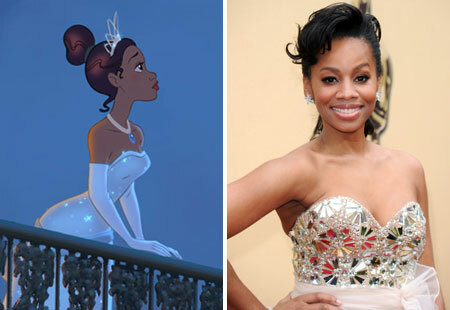 Anika Noni Rose's journey from aspiring actress to Disney princess has been remarkable. She's almost mastered every genre of entertainment, from winning a Tony Award for her Broadway role in "Caroline, or Change," to TV ("The No. 1 Ladies Detective Agency"), to films ("Dreamgirls")--and now she even has an animated film to her credit. Last year, Rose played the voice of Tiana, Disney's first African-American princess, in "The Princess and the Frog." TheMash met with Rose at a downtown hotel just two days after she appeared at the Academy Awards, where "The Princess and the Frog" was nominated for best animated film (but lost to "Up"). Evan Turner of Ohio State puts up a shot against Purdue in January. Every week TheMash's Jimmy Loomos of Maine South ranks the top 25 college men's basketball teams. 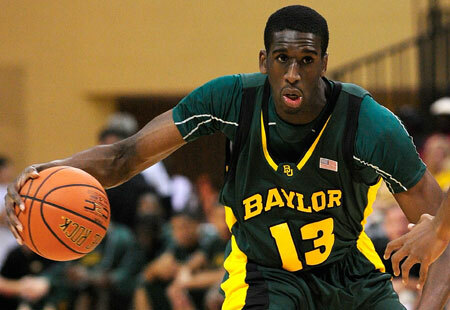 This week, we also look into what to expect in the NCAA Tournament. I chose the Wildcats over Kansas because I think they have better quality wins and stronger overall players. I pick them to win the National Title as long as they keep their youth in check. 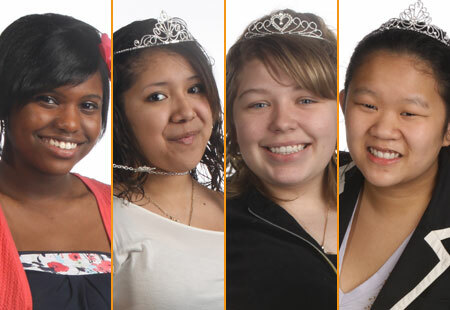 Vote on who you think should be TheMash's prom queen! (L-R) Robyn Killingsworth of Bollingbrook, Marlene Sanchez of Prosser, Joanna Izydorczyk of Chicago Academy or Cherie Wong of Lane Tech. But there's a catch--you, our readers, get to vote on what she will wear. 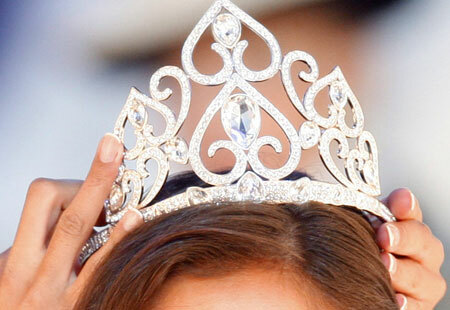 But first, you get to pick who will be our queen. We received more than 100 entries, and we've narrowed our search to four finalists. The second runner-up from "American Idol" Season 7 earned rave reviews for her performance as Deena Jones in the musical "Dreamgirls," which played in Chicago last month. But Mercado recently told TheMash that she had some doubts about taking on the role. Every week, TheMash's Jimmy Loomos of Maine South ranks the top 25 NCAA men's basketball teams. This week, the top squads fall while the mid-majors rise. Now with three teams tied at the top with identical records, you have to look at the best wins. Syracuse has it all. Let me list all the skilled teams they have beaten this year: California, North Carolina, Cornell, Florida, West Virginia, Georgetown, Villanova and Cincinnati--all of whom have been ranked. This team is the real deal. TheMash caught up to Patrick Kane of the Chicago Blackhawks right before he left to represent Team USA at the Vancouver Olympics. Check out what he had to say! Alicia Keys comes to the Allstate Arena on March 3. See if tickets are still available at Ticketmaster. Are you a talented plus-size teen? ABC Family wants you for a new original drama. "Huge," which will premiere this summer, follows the lives of six teens at a weight-loss camp. Casting is open to actors and newcomers, and you don't have to be 15-16 years old, but you should look like you are. The Chicago casting call will be March 7 from 2-6 p.m., and March 8 from 2-8 p.m.
Get ready for spring fashion! 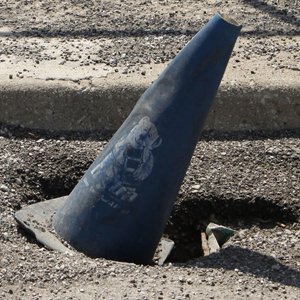 Spring is just around the corner, Chicago! Weather allowing, it's time to start thinking about wardrobe innovations to transition smoothly and fashionably into the new season. According to The Skinny, floral and animal prints will come into play once more during this year's spring season. Dakota Fanning wore a blue leopard-print dress for the December Teen Vogue, and a replica of it is now available at Forever 21 in its resort collection. CPS students check out newly donated music instruments at Kenwood. It's hard to say what was more exciting for a group of music students at Kenwood Academy last week: celebrating music education at a celebrity-fueled rally simulcast in Chicago, Los Angeles, Boston and Houston, or getting $100,000 worth of new musical instruments. 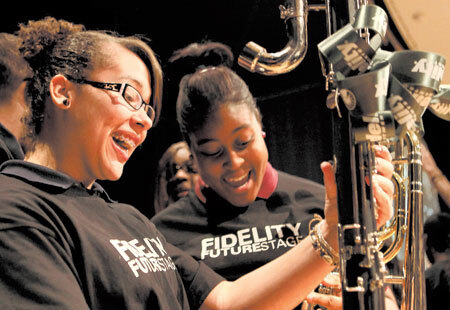 Students from Jones, Kenwood, Lincoln Park and Pritzker gathered at Kenwood on Feb. 9 for an energetic, uplifting concert announcing the donation as part of the Fidelity FutureStage program. Actress Joan Cusack was on hand in Chicago for the event, while Jamie Foxx and "Lost" actor Dominic Monaghan appeared via satellite from Los Angeles. Are you in? 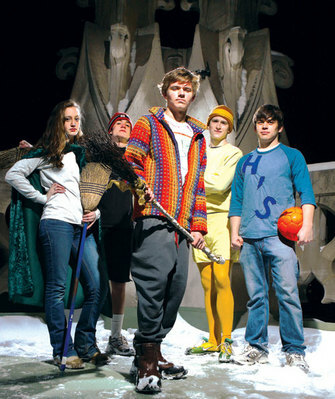 "Harry Potter" fans at Homewood-Flossmoor formed their own Quidditch league. In the world of intramural sports, there are badminton players, basketball players and dodgeball players. Then, there are Quidditch players. WANT TO WIN $25? 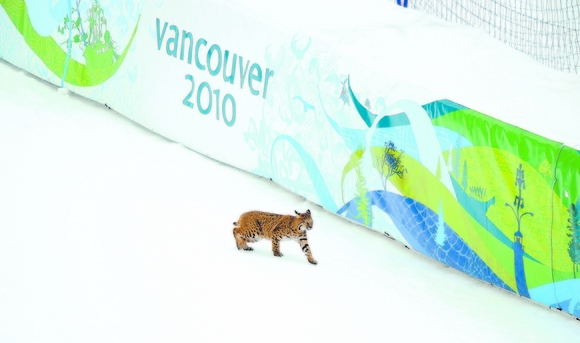 Write a hilarious, witty or just plain silly caption for this photo by Tues., Feb. 16. We'll pick a winner and print their name and caption in our next issue--plus send the winner $23! Leave your answer in the comments section, or email us at themash@tribune.com. If you're a Pisces: If you were born under the water sign of Pisces, you're super-sweet. You'd do anything for your friends. You're also very psychic. Throughout your life, you should trust your intuition. When you listen to your heart, you'll tend to make the best decisions. This month focus on trying something completely new. Experimentation and adventure are the big themes for you now.